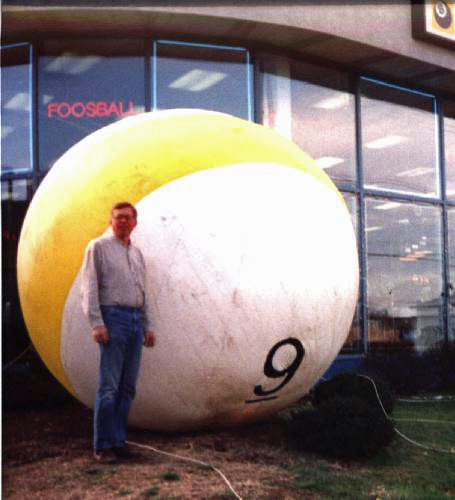 Sorry Looking 9 Ball – The Home of My "Big Things"
This may one of the sorriest of inflatables that I have ever seen. Dirty, underinflated, what a mess. I don’t understand how a business owner would think that this would attract customers into the showroom. Beats me!